Kevin and Kristin are two of the SWEETEST people I have ever met! And I don't say that lightly. Have you ever met someone who just makes you laugh and smile? You can't bear to be with them for more than 10 minutes without having a good laugh. These two have such a sweet joy about them that I cannot explain in words. THANK YOU! So much for allowing me to capture some of that joy and love! I can't wait to watch you both walk into the covenant of marriage this summer. How they met, by Kristin: We were both on the planning committee for a concert that benefited Big Brothers Big Sisters in 2013 and met there! It was organized through ThirdPlace, a ministry that I am now leading! We started dating last January (of 2015) after my roommate set us up on a couple of low-key group dates. Kevin and I love cooking together, reading together, exercising together, travelling, and going to the grocery store together (we have fun walking through the aisles and being silly). He is my best friend and I love doing everything with him! 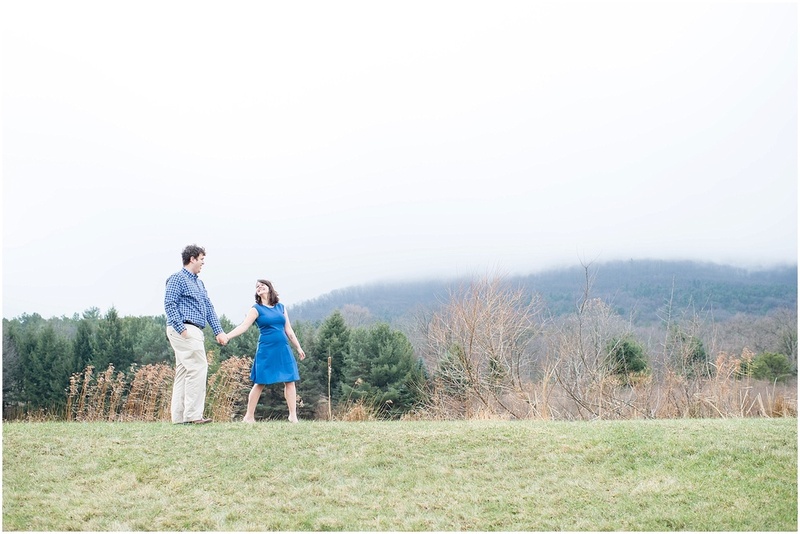 How Kevin proposed, by Kristin, "We were in Harrisonburg, Virginia with his parents at their family cabin and planned to go hiking the morning after we got there. My parents were also coming up the next day and they were meeting for the first time! When we got to the mountain ridge, there were some papers on the map that looked like they were from the resort where we were staying. They were in "pirate speak" and had facts about the area as well as instructions that told us to find 4 envelopes and open them in order. So we found the four envelopes, then I opened them in order. In the first there was a picture of my brother Will and I, in the next envelope was a picture of me, in the third envelope was a picture of our friend Mary, and in the last envelope there was a picture of Kevin and his niece. He looked puzzled and I said out loud, "why is there a picture of Mary Habashy in here?" because all the other ones made sense. And then when I said the word "Mary" I figured it out - Will You Marry Me?! Then he got down on one knee and handed me a wrapped box, and I said yes!"